Our Sobana restaurant has been transformed for a new culinary chapter. A truly Sri Lankan dining experience goes hand-in-hand with a stay in Hotel Sobana. From tantalizing local dishes that is bursting with flavour to diverse international fanfare, our restaurant offers you a dining experience that is unmatched. Indulge in delectable buffet spreads that is for a king or sample delicate morsels of dishes made from Sri Lanka�s age old traditions. 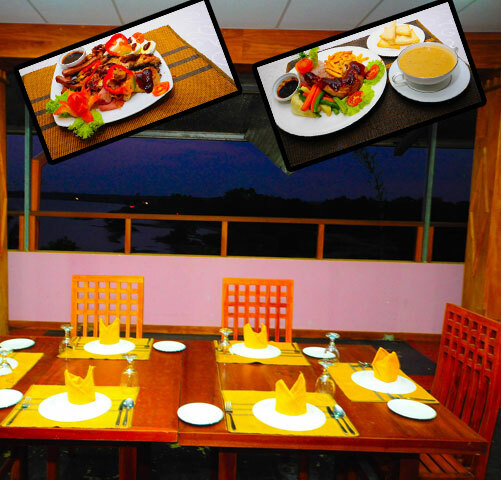 Hotel Sobana offers you a range of dining options as well; whether you want to relax by the lakeside and enjoy a quite meal, have an elegant dining experience in our restaurant or opt to try the extensive room service menus, we cater to all your needs. From hearty breakfasts and lavish meals to light, delicious snacks and satiating beverages, our restaurant will give your taste buds a treat that is unparalleled.